From my home in Pankow, virtually all of Berlin is accessible. Just a hop on the M1 tram, and any place I’ve wanted to go is no more than two transfers away. 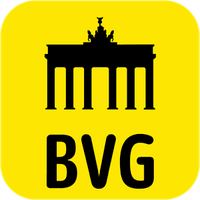 It has enabled me to visit many new places and diversify my activities with friends; more variety in restaurants, bars, clubs, parks, and museums (I highly suggest The Egyptian Museum of Berlin on Museum Island). Never have I felt like I needed to revisit the same place out of convenience instead of want. Back in my home of Los Angeles, the lack of public transportation defines your world. The places you go for a night out with friends are inherently limited by the fact that you have to drive everywhere, and places outside of a certain radius might as well be in another country. This can cause two people living in LA to have completely different personal landmarks, like they are living in two totally different cities. But in Berlin I can strike up a conversation with a peer and talk about our experiences at Cafe Cinema or what our favorite exhibit was at the German Historical Museum without ever having gone there with them. 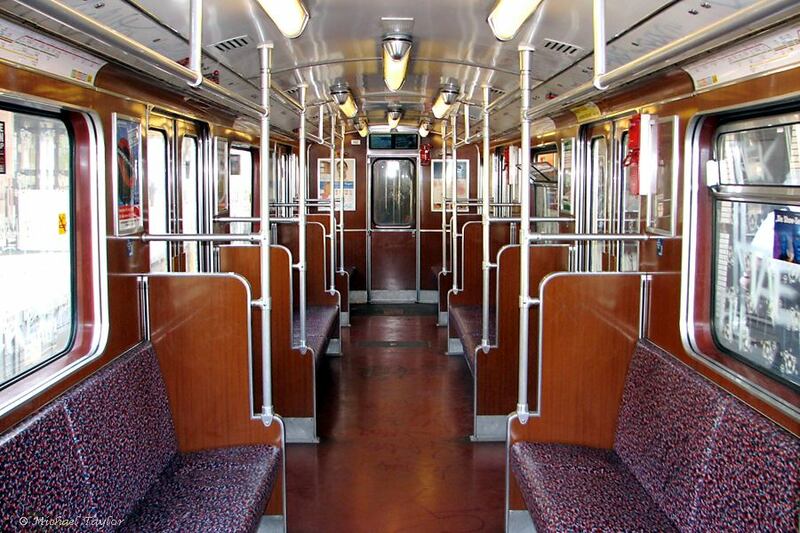 This sense of community and connectivity would not be possible without the amazing infrastructure of trams, buses, and subways that make up the Berlin public transportation system. But the system is not without its problems. As of the writing of this article, I have received two, forty-euro tickets from the transit authorities. The first time was my own fault, not having a ticket on the U-Bahn, though the ticket checkers just seemed to focus on me and let my friend, who also lacked a ticket, slip away into the night. I was a little offended by that— why did they hate me more? Were they threatened by my considerable height? Did I remind the shorter one of his school days, endlessly teased by his peers holding things just out of his reach? As if that was not enough, once the man issuing my ticket found out I was from Los Angeles, he started asking me, with the scant English he possessed, if I knew celebrities. I guess this is what stereotyping feels like, a new experience for me since coming to Europe. I told him I knew George Clooney, which was a lie. He just lives within walking distance of my house. I mean it wasn’t a total lie, I did know who George Clooney was— I just doubt he knew who I was. The sight of the incident. The second ticket I got I blame entirely on Berlin. I had bought a monthly pass via the metro machine that is positioned at every Bahn stop. I turned on the English translation and bought it at the “Student” discount price, seeing as how I was a student, and went on my way. 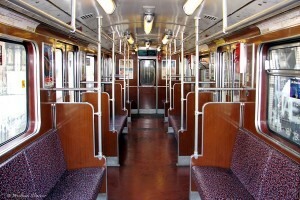 Eventually one of the employees of the public transportation system came on the subway car to check that everyone had the proper paperwork. My heart raced a little as he stood next to me, flashbacks from the last forty euros I was billed induced panic. But I turned that fear into courage and smugly gave him my pass, you won’t get me this time. The man started yelling at me in German, pointing at the little paper I had handed him, and printed me out another forty-euro ticket. I was later informed that in German the word for student implies being under a certain age, an age of adolescence much younger than my own. In America as long as you are a student of some kind of school, regardless of age, you get the advertised student discounts. I was a victim of poor translation and culture clash, and couldn’t tell the man working that I had just made a mistake because I didn’t know it at the time (not that I think it would have made a difference, the public transportation workers do not seem like merciful people). I could have taken the bill for forty euros to one specific office of public transportation that was ridiculously out of the way, and not at all convenient to reach, and fought it (on the hopes that someone there spoke English), or I could just admit defeat and pay the bill at any number of closer stations. I went with the path of least resistance. The symbol of bureaucratic nonsense. Let me re-iterate that I do love the transportation infrastructure in Berlin and its ease of use, it has greatly improved my mode of living. But it is riddled with problems from bad translations, to arbitrary bureaucratic limits, to workers whose jobs entail speaking to passengers yet don’t speak English. Will this stop me from going to places and doing things? No, of course not. But in a city as international as Berlin there is really no excuse for these minor problems, some reform really needs to happen, because public transportation is the foundation of the city. There is so much potential in Berlin to be not just a great, but one of the greatest, cities of the modern age—a city where people from all around the world can go places and do things. For that to happen though, the little problems at its foundation need to be addressed. If they can’t fix simple problems like these, what are the hopes for fixing a truly big one? But you are in Germany, where the national language is German. Immigrants and tourists who come to the US must feel the same way as you did, but I doubt they expect transit staff to speak their language. Should NYC transit workers be required to speak all of the languages that are present in NYC? Of course, not it’s impossible and would limit employment opportunities to linguists who speak at least 3-4 languages. In my experience, if you try to speak the local language, you will get more assistance than resistance. Even thank you, please and sorry will help. On another note, I’m glad you are out there exploring!